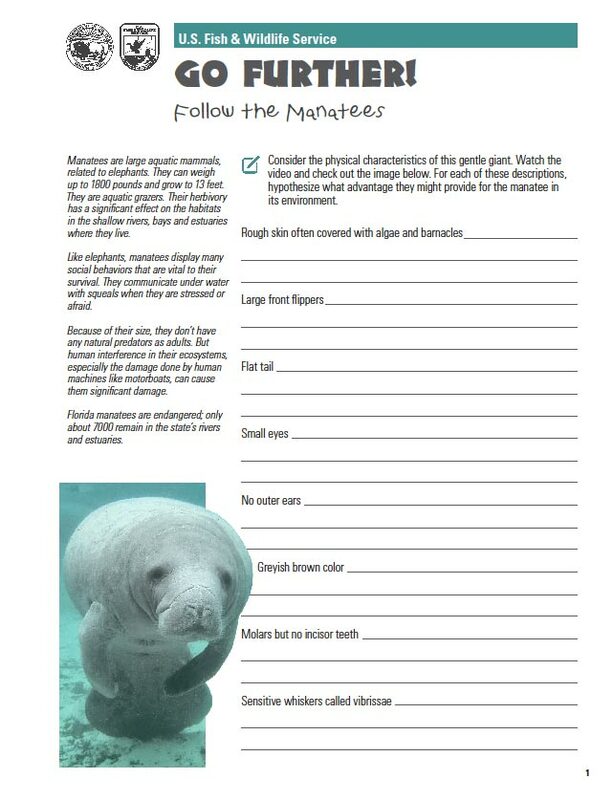 Manatees are large aquatic mammals, related to elephants. They can weigh up to 1800 pounds and grow to 13 feet. They are aquatic grazers. 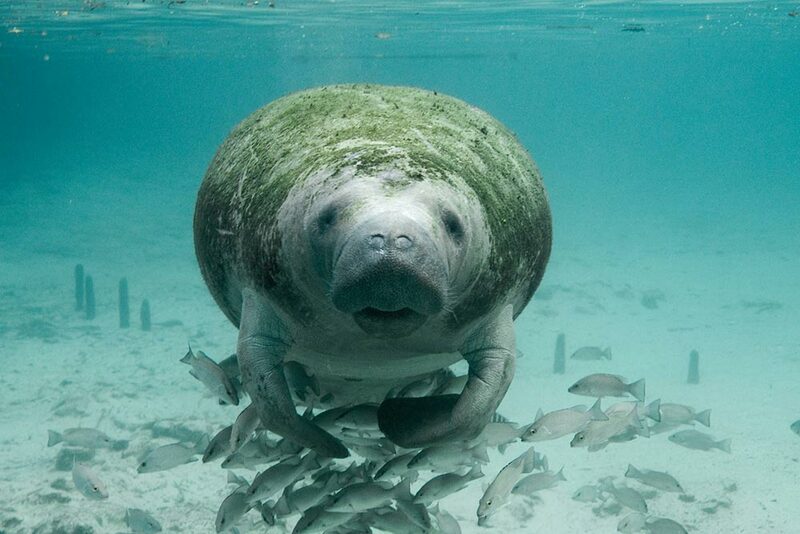 Their herbivory has a significant effect on the habitats in the shallow rivers, bays and estuaries where they live. 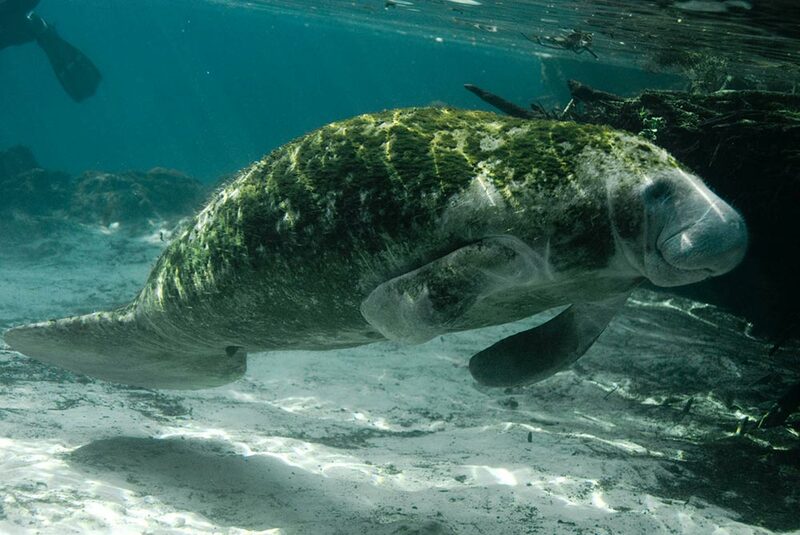 Like elephants, manatees display many social behaviors that are vital to their survival. 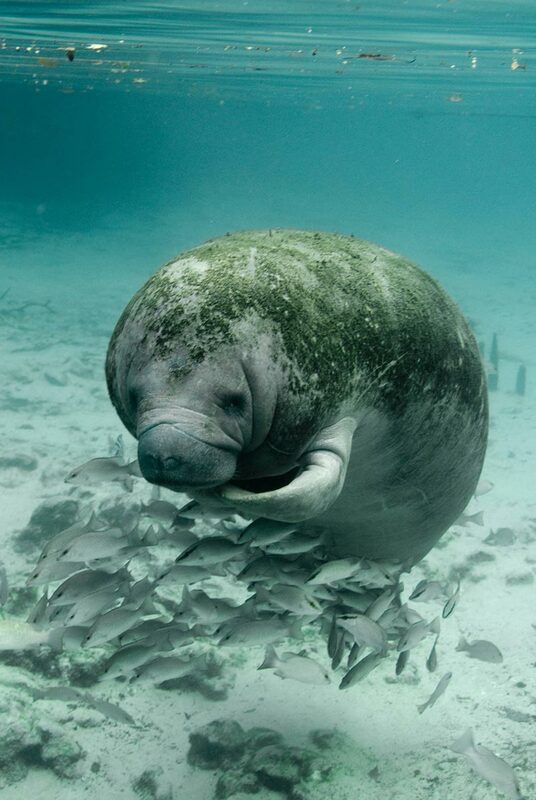 They communicate under water with squeals when they are stressed or afraid. Because of their size, they don’t have any natural predators as adults. But human interference in their ecosystems, especially the damage done by human machines like motorboats, can cause them significant damage. 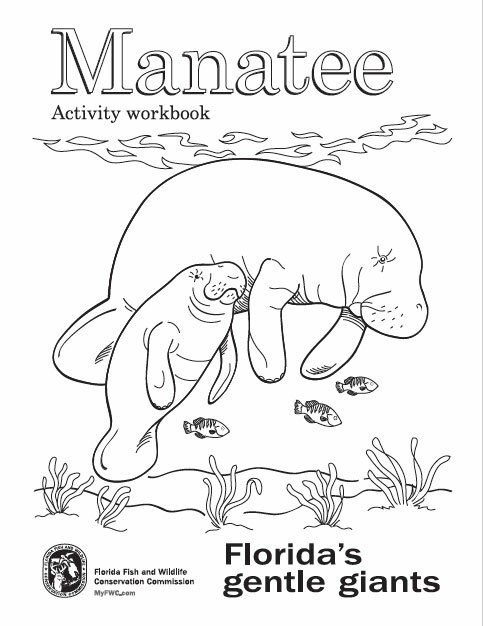 Florida manatees are endangered; only about 7000 remain in the state’s rivers and estuaries.